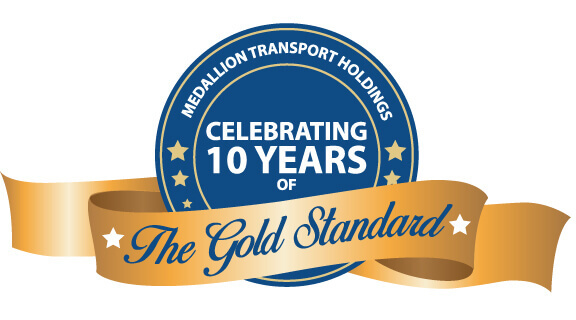 Medallion Transport Holdings, Inc. is celebrating 10 years of being the gold standard in safety and service in the transportation industry. This year marks a milestone of hard work and innovation in an ever-changing and growing industry. 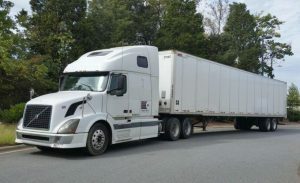 Founded in 2009 by CEO Gary Weilheimer with corporate offices in Moorestown, New Jersey and Mooresville, North Carolina, Medallion Transport Holdings, Inc is a leader in the owner-operator and freight agent models. Throughout the years, Medallion Transport Holdings, Inc has grown its capacity through customers, agents and owner-operators nationwide. As the parent company to Medallion Transport & Logistics, NHH Services, ACE Heavy Haul, Medallion Hospitality Services and Medallion International, the company maintains the lead as a transportation solutions company providing services in heavy haul, LTL, logistics, and hospitality. With the leadership of the senior management and the professionalism of its agents, owner-operators and employees, Medallion Transport Holdings, Inc has grown to include over 70 committed employees and 400 owner- operators in over 40 offices nationwide. While the company continues to grow, it remains committed to be the lead in technology and customer service. As the company embarks on the next 10 years, Medallion Transport Holdings, Inc will remain committed to upholding its core values along with increasing efforts amongst the surrounding communities in need. “Thank you to everyone who was part of the Medallion success story our first 10 years, we look forward to the next 10 years of success,” said Weilheimer.